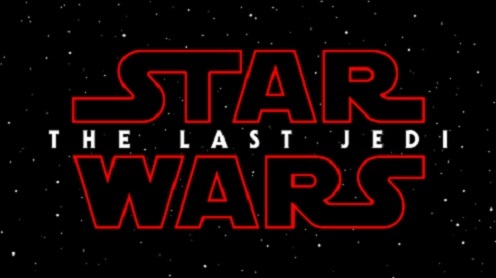 The name has at last been officially revealed, Episode VIII will be called The Last Jedi. This title has garnered much discussion and analysis, one theory is that it could refer to Luke Skywalker, but the word Jedi can be invoked as a plural form. 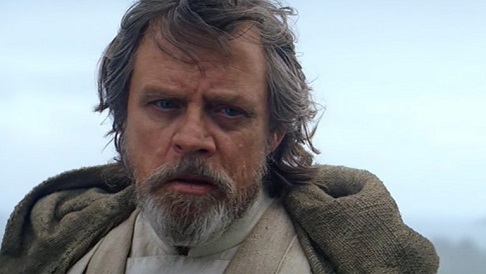 One snippet of evidence can be found by the fact that Luke is referred to as the last Jedi in Force Awakens. Rian Johnson wrapped up filming in July 2016 and the movie is now in advanced post production. Until December is a lengthy period of time to wait for the movie’s release, in the meantime what else do we know about Episode VIII? We can already figure out that Mark Hamill, Daisy Ridley, John Boyega and Oscar Isaac will be headlining missions for the resistance in opposing the First Order, it’s likely that Luke Skywalker and Rey will feature prominently in a team, with Poe Dameron and the resistance forming another team. We are 85% positive that a light sabre battle will take place between our protagonists and the Knights of Ren near the beginning of the film. The new cast members Benicio del Toro, Laura Dern and Kelly Marie Tran are still in unconfirmed roles. Again, its almost certain that Benicio del Toro will play a bad guy and Dern a resistance leader. The story resumes immediately after the events of The Force Awakens. Is the remote island where we left Luke Skywalker, Rey and the gang a fabled ancient Jedi temple of Ahch-To? Luke had apparently left to discover the location of the first Jedi temple in the galaxy to understand more about the force. Now Luke will be undertaking the training of Rey and enabling her to reach her full potential as a force user. There are many positive indications that audiences will see more of Kylo Ren’s internal conflict with the light and dark sides. We will probably understand more about what turned him into Kylo Ren. A big question is about his continuing allegiance to the dark side, will he turn more to the light side or progress further on the path of a burgeoning villain. Adam Driver as hinted that in terms of his character this movie will depict more of his humanity than Episode VII, Kylo Ren rather than conceiving of himself as a villain believes he is justified in his position. Other interesting revelations will be the face to face confrontation between the reunited (if this happens) Luke Skywalker and Kylo Ren. Snoke’s identity is another enduring mystery Star Wars fans want some closure on. He was kept very much in the dark in Force Awakens in a similar way to the Emperor in the original saga. Because of his height we can presume Snoke is not a human, unless he has been physically enhanced in some way. Clearly, Snoke is not as tall as the holographic image suggests, but the indications are that Snoke is 7 feet tall. So, how exactly did Snoke became the leader of the first order, did he hold a secretive position within the old empire? Speculation is gravitating around the idea that Snoke was the leader of a shadow council within the empire. From Snoke’s own words and the novelizations he existed in the universe before the Empire, hence he witnessed its rise and fall, we are informed that he has in depth insider knowledge about the Empire. In other news, John Williams will be composing the score. He has scored the seven previous Star Wars movies, it just wouldn’t be Star Wars without a John Williams soundtrack. Rian Johnson while not returning as director for episode IX, has written a script treatment. Colin Trevorrow is slated as director of the next movie, but Johnson’s involvement suggests there will be a smooth correlation between episodes VIII and IX. The Last Jedi has a scheduled release date of December 15, 2017.